Many cities here in North America have an abundance of Thai restaurants, but more often than not it’s a far cry from what you’ll find in that country, one of the best in the world for eating. One way to eat more authentic is to make your own curry paste. 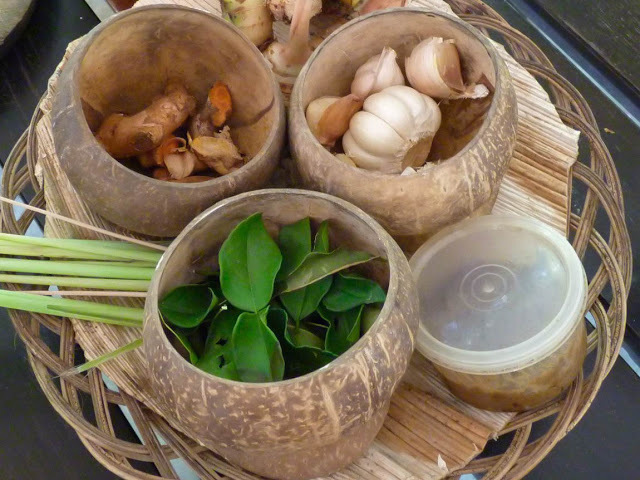 We took a cooking class while on Koh Samui and discovered just how easy it is. Although the recipe seems elementary, our chef instructor explains that it’s not really about simplicity, it’s about juggling the contrasting ingredients to create a harmonious balance. Where can I buy galangal? Try to find a SouthEast Asian market in your community. If you don't have one, both Amazon.com and Importfood.com sell it. Don't be afraid to purchase a large quantity as if freezes well.Happy Cooking!